A teenaged girl was found dead in suspicious circumstances in a college in Rajasthan. Subsequently, it was found that she had been raped before she was killed. All attempts were made by the local authorities to suppress the information and hush up this case. 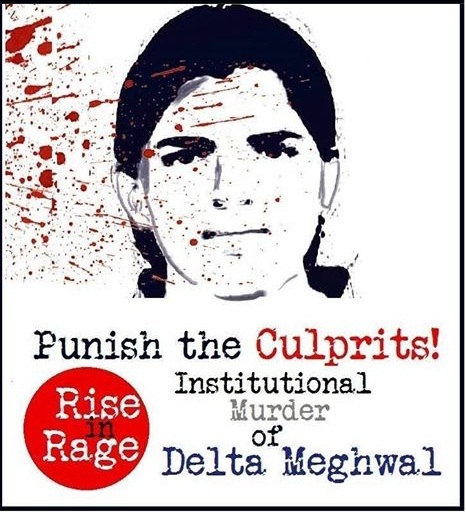 The girl's name is Delta Meghwal. But the shocking case has still not drawn the attention of 'national media', seven days after the incident. This is despite the fact that soon after her death, it was clear that there was an attempt to manipulate and conceal the facts surrounding her death. It was also felt that the college management and the influential persons were trying to save the culprits. It was clearly a case of collusion. Rajasthan is not far from Delhi. Yet, for national media it was not a major news. Why? 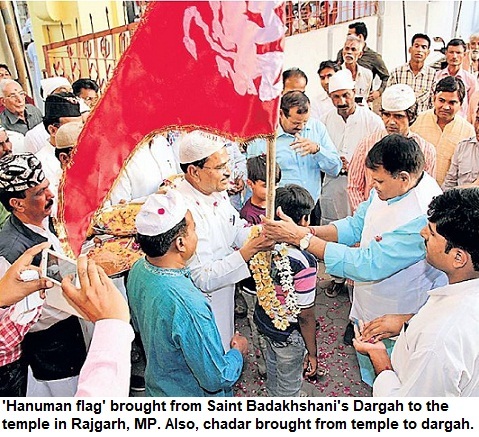 On one hand, protests were held in Rajasthan and other states, media remained indifferent. Delta was just 17. She had left her home and dreamt of becoming a teacher. A painter, she was a felicitated by none other than the chief minister for her talent. A college instructor (PT) is suspected to be involved in the crime. The teenaged girl had been given the task to clean the teacher's room, once again showing how Dalit students are made to suffer in 'institutions of learning'. The warden had sent her to clean the PT instructor's room. There, she was allegedly raped. After death, the body was taken away in a garbage collecting tractor. That's the level to which the institution stooped down, to. For days there was no action. A latest report suggests that he has now been held. Once again it seems to be an institutional murder. The Jain college where the incident occurred, its management, warden, all those must face the law. The failure of media to highlight the case, in fact, ignoring the news, is similar to its role during the death of Rohith Vemula, the PhD scholar, who was harassed and had to end his life in Hyderabad, recently. 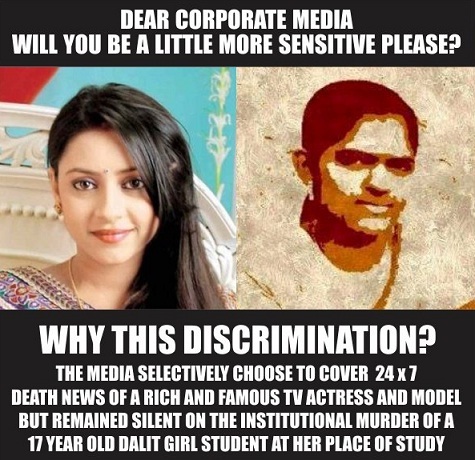 Clearly, Indian media that has an obsession with rich and famous, needs to introspect that why it is so casteist, anti-Dalit and anti-poor.